Pastor Andrew Chavanak was called to serve St. Paul’s on May 8, 2011, and began his service following his ordination to the Ministry of Word and Sacrament on the Day of Holy Trinity (June 19) that year. Before coming to Falls City, he earned a Master of Divinity degree from the Lutheran Theological Seminary at Gettysburg (Pennsylvania) in May 2011 and a BA in economics from Michigan State University in May 2007. Pastor Andrew is a native of Detroit, Michigan. 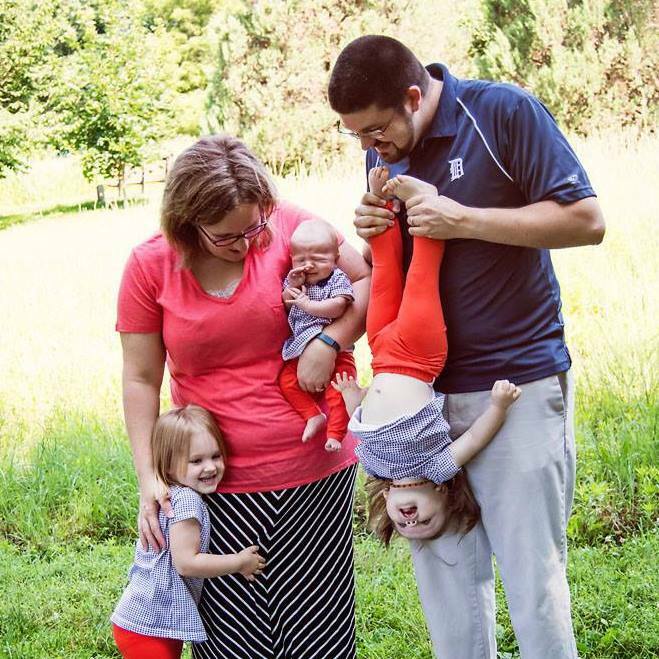 Andrew and his wife Katie met in May 2004 when they served on the summer staff of Stony Lake Lutheran Camp, a ministry of the ELCA’s Lower Michigan synods. They have been married since May 2008 and have been blessed with the gift of three amazing daughters – Evelyn, Isabelle, and Abigail. Pastor Andrew enjoys rooting for his hometown sports teams – the Detroit Red Wings, Tigers, Lions, and Pistons – as well as his alma mater Michigan State, although he’ll also cheer on the Huskers as long as they aren’t playing his Spartans. He is an avid vocal and instrumental musician and uses his talents as a member of the Clefsmen of Falls City, a men’s singing group that performs throughout southeast Nebraska. He also enjoys running, and looks forward to participating in his first competitive running event in September 2018: the Ragnar Michigan, a 196 mile team-relay race from Muskegon to Traverse City, Michigan.